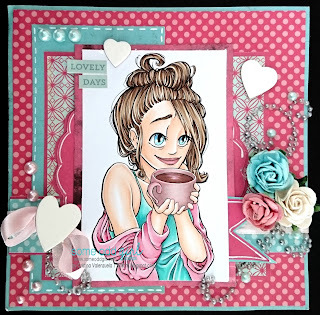 This is so pretty and feminine with the beautifully coloured image, lovely papers and flowers. 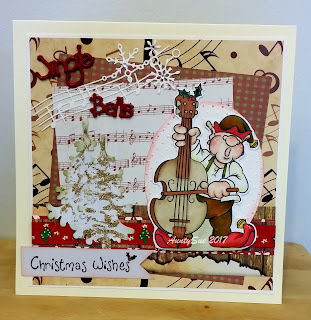 Such a fun image, beautifully coloured- a and fab design with the lovely mix of papers and die cuts. A wonderful exploding box, the centrepiece is amazing! Well done ladies, fabulous creations, please take our Top 3 badge from the sidebar to display proudly on your blog. A big thank you to everyone who played along last week, hope to see you again very soon!